“Earthsong” is an incredibly beautiful and chilling fantasy graphic narrative. Crystal Yates plays with light and images of fabric to create a comic that, while dealing with serious issues, also feels like a warm blanket wrapped around the reader. Crystal Yates’ “Earthsong” is an interplanetary fantasy where the planets themselves take on life and consciousness. Some of these planetary spirits interact with their creations, their children, but most have been content to sleep. Many of them have slept right through a crisis that has been happening throughout space and on their own surfaces. A contamination has leaked onto the surface of planets that attaches itself to various of the planet’s sentient children and, if unchecked, will destroy the lifeforce of the planet itself. The planets got together to deal with what was occurring and decided that the best way to solve the issue of contamination is to remove contaminated people from their planet and place them on a new planet and the planet who named herself Earthsong has become a host for all of this misplaced travellers. These planet children end up on Earthsong without their memories, dropped into a complex battle they know nothing about. Yates explores ideas of quarantine, contamination, the loss of selfhood, and the desire to learn about oneself in “Earthsong”, creating a narrative about planetary contamination that isn’t about pollution but reminds us of the fragility of our place on our planet nonetheless. In Michael Healy’s “Cottage on the Bluff”, a figure reminiscent of Toronto’s mayor Rob Ford intrudes into the woods with his cottage, blighting the landscape with his building and his rage-filled presence. The local Green Man is bombarded with communication signals from a culture dependent on the endless stream of data. The mayor’s cottage brings a foreign presence into the woods, and the Green Man, conscious of every change in the woods has every meaningless tweet and vapid pop song running through his head as long as the cottage is on his land. 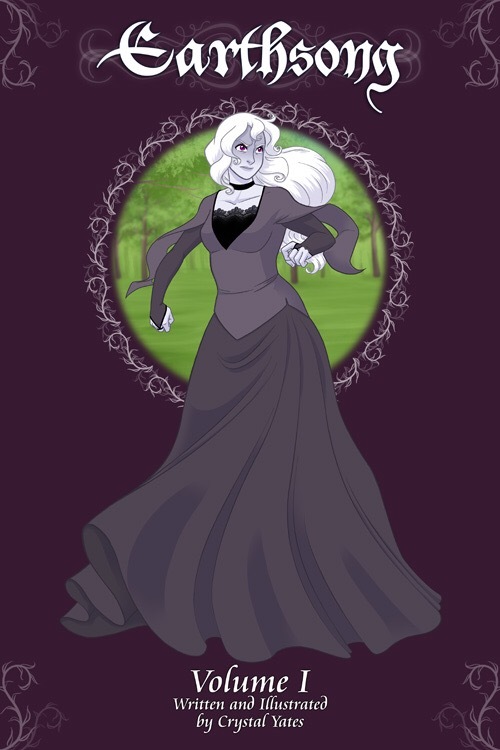 When he seeks to try to bring the cottage down, reclaim it into the earth to remove the blemish from his landscape, the mayor and his family unexpectedly arrive, leaving the Green Man with a choice to either reveal his presence to them and risk being experimented upon or to let them die with the building. Despite the Green Man’s worries and the awareness that the mayor is a corrupt monster, his role as protector of the forest means that the Green Man needs to keep them safe. 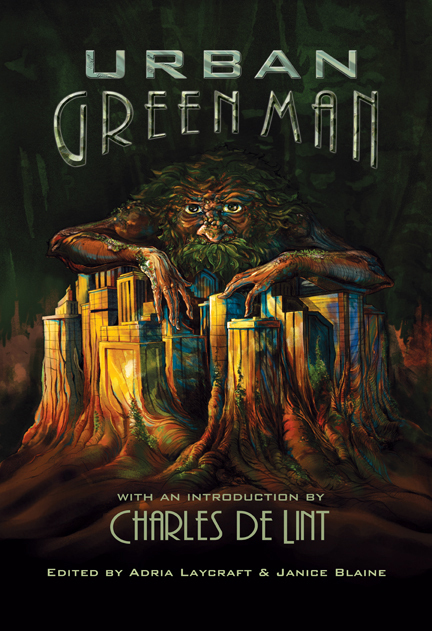 In his attempts to rescue the mayor’s family, despite the fact that he has been bombarded with human communication, the Green Man meets a communication barrier from his own lack of familiarity with speech and the mayor’s rage-filled reaction to what he perceives as an invasion to his territory. The Green Man is forced to protect the mayor’s own children from his rage-filled random gun shots and uncontrolled violence. Healy reveals the vapidity of modern urban communication – the lack of deeper communication and understanding when the focus is on meaningless self-indulgence and vapid self-fixation. Rather than attempting to understand the depths of communication, the mayor focuses on notions of property and protective ignorance, trying to erect barriers around himself and what he perceives as his instead of paying attention to the signs around him. Configuring his consciousness around ideas of threat he loses the potential to see actual threats around him, such as the ground beneath his cottage disintegrating. To read more about the Urban Green Man anthology, visit http://www.urbangreenman.com/ .